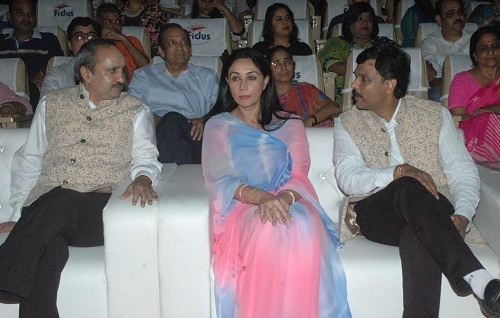 Jaipur : Sawai Madhopur MLA and also Princess Diya Kumari inaugurates the mega cultural event – ‘Ripples 2016’ by lighting the traditional lamp today at Birla Auditorium. The musical competitive event was organized by the ‘Jaipur Medical Association’ and ‘Medical Practitioner Society’. The evening saw a large number of cultural programmes likes: solo song, duet songs, group dance, couple dance, skit, fashion show, quawwali. Later, prizes were given away to the winners of the different categories.